Microsoft will turn off downloads of the Windows 7 RC in a matter of hours – after allowing millions of users to download a trial version of its forthcoming operating system. 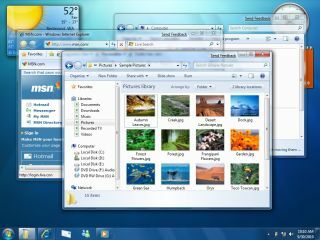 Microsoft's Windows 7 RC was made available to the public for download in May and the cut-off date was eventually pinned to August 20 - at about 4pm BST. For those that have a copy of the RC on disc but have not yet obtained a key to use it, Microsoft has suggested that they will still be offering this service. Those who have grabbed a version will be able to use it fully until March 1, 2010 when the system will shut down every two hours until June 10 when it will not boot – with the full retail Windows release date October 22. The decision to release the RC to the public was a brave one by Microsoft, but it has been ratified by the wealth of positive feedback about the successor to Vista. TechRadar's Microsoft expert Mary Branscombe gave the operating system five stars in our extensive Windows 7 review, suggesting that the OS was 'the best version of Windows yet'. Pre-sales of the Operating System left Microsoft 'overwhelmed' and the company is now looking forward to the full release in October.